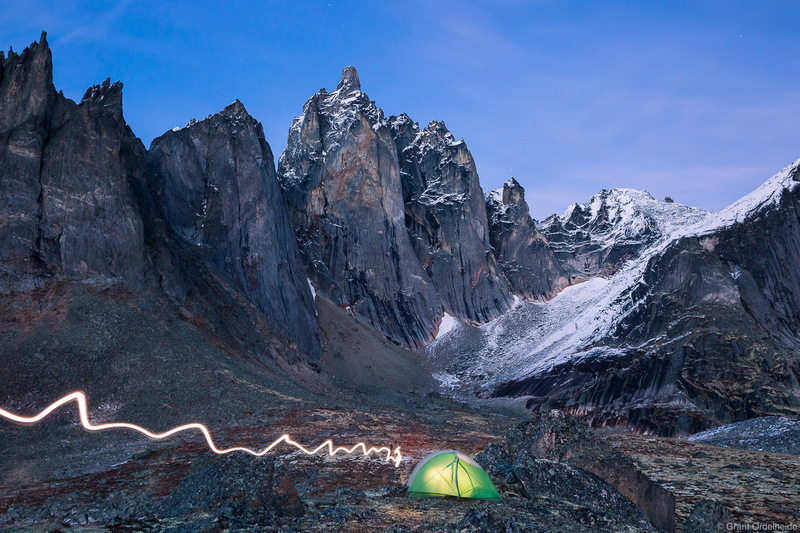 A person retreats to their tent for the night below Mt. Monolith in Tombstone Territorial Park. Photo © copyright by Grant Ordelheide.